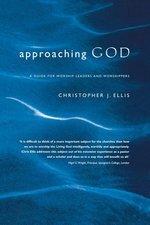 Two questions lie at the heart of this rich, suggestive book: What are the theological implications of worship? and What are the liturgical implications of theology? 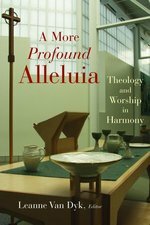 Convinced that worship and theology are integrally related, the authors of A More Profound Alleluia show in practical terms how liturgy and doctrine fruitfully illuminate each other. Each chapter pairs an element of the worship service with related Christian teachings, clearly demonstrating how the great doctrines of the faith find their natural expression in the drama of worship and how the liturgy in turn finds its corollary in doctrine. The interrelation of theology and worship is illustrated with anecdotes from congregational life, resources drawn from church history, and themes from novels and films. Each chapter also includes two hymn texts that exemplify orthodox doctrine communicated through song. A More Profound Alleluia will be a valuable text for courses in theology or worship, will help worship leaders to plan services with greater theological depth, and will enhance worship for Christian believers generally. By looking at the wide variety of Hispanic Christian worship that exists within the Hispanic community, Alabadle! highlights the cultural, generational, and denominational elements that comprise the spectrum of Hispanic worship. Justo L. Gonzalez and seven other contributors provide an insightful look into the variety of worship styles that exist among numerous church traditions including Assemblies of God, United Methodist, Catholic, American Baptist, Presbyterian, and Disciples of Christ. And yet, in the midst of this variety, is a common thread of excitement - about worship and about the gospel! 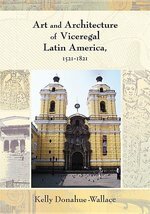 Anyone interested in exploring worship, music, and liturgy styles from a particular Hispanic perspective will find Alabadle! a valuable learning tool. What happens when the Christian community gathers in faithful response to Christ's command at the Last Supper, Do this in remembrance of me"? Study of the biblical and early Christian notion of remembrance, the Greek word anamnesis, shows that the Church's ritual action of remembering our salvation in Christ not only inspires but demands action in the world. The problem remains, however, whether and how we are ale to practice such remembering in our society today. This book explores the political theology of Johann Baptist Metz to discover injustice and the challenge and hope it poses to those who join in solidarity with the oppressed, and the work of liturgical theologian Alexander Schmemann, to elaborate on how, in its unique keeping of time, the liturgy reveals the kingdom of God and empowers believers thus to witness to it. The meeting of these two compelling theologies results in a rich eschatology: life shaped by the Vision of a future that fulfills the promises of the past. Morrill also marshals the work of many scholars concerning the concept of anamnesis which has proven crucial to the progress of ecumenical dialogues on Church order and the Eucharist. The effort is to understand how the Church's liturgical commemoration of God's salvific deeds in history, especially in Jesus, allows for neither a timeless form of religious piety nor a ritualism detached from the commerce of life in the world. A concluding investigation of the relationship between anamnesis and eschatology leads to further considerations about the dialectical character of the praxis of faith. 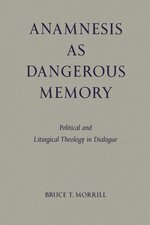 Anamnesis as Dangerous Memory, while written in the field of systematic theology, offers a fresh perspective and framing of the issues for readers of Christian ethics and moral theology. 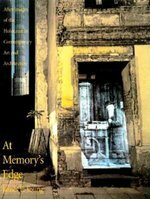 Chapters are "The Promise and Challenges in the Renewal of the Eucharistic Liturgy," "Johann Baptist Metz's Political Theology of the Subject," "Alexander Schmemann's Liturgical Theology: Joyous, Thankful Remembrance of the Kingdom of God," "Christian Memory: Anamnesis of Christ Jesus," and "Conclusion." Bruce T. Morrill, SJ, holds the Edward A. Maloy Chair of Catholic Studies in the divinity school at Vanderbilt University where he is also Professor of Theological Studies. In addition to numerous journal articles, book chapters, and reviews, he has published several books, most recently Encountering Christ in the Eucharist: The Paschal Mystery in People, Word, and Sacrament (Paulist Press, 2012). 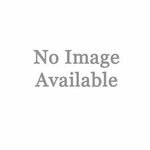 His most recent book with liturgical Press is Divine Worship and Human Healing: Liturgical Theology at the Margins of Life and Death Pueblo/Liturgical Press, 2009). This original Pocket Guide examines the presence and surprisingly complicated history of angels in Christian art. Erika Langmuir points out that angels need not be winged; they can wear antique dress, contemporary church vestments, secular fashions, armor, or nothing at all; their gender and age are uncertain; and they are not always good. Langmuir explores these intriguing characteristics of angels by looking at some of the most engaging religious paintings in the Western tradition. Christians believe that the logos is the source of all life, yet Christian worship remains unashamedly human-centric. The world of creation, and animals in particular, is almost invisible in our worship. The churches do not have the liturgical means of celebrating the life of animals, giving thanks for their companionship, praying for the relief of their suffering, or marking their death. This unique book provides a variety of liturgies that are animal-friendly and animal-inclusive. They include services in celebration of animal companionship, services for animal welfare, healing liturgies, new eucharistic prayers ""for the whole creation,"" and animal burial services. Underlying all these new forms is a serious theological purpose: to help us to draw deeper into the mystery of God's work in creation and to affirm other sentient beings as co-creatures with us. ""The commentary, thoughts, and prayers on this issue of animal care are a very necessary provision to help clergy and ministers understand and appreciate the theme of Christian responsibility for creation."" --The Most Reverend Alwyn Rice Jones, Archbishop of Wales "" . . . of an exceptionally high standard both in language and content."" --Bishop John Baker Andrew Linzey is Director of the Oxford Centre for Animal Ethics and a member of the Faculty of Theology in the University of Oxford. In order to present fundamental differences between the early and later colonial periods, works are offered chronologically and separated by medium--painting, urban planning, religious architecture, and secular art--so the aspects of production, purpose, and response associated with each work are given full attention. Primary documents, including wills, diaries, and guild records are placed throughout the text to provide a deeper appreciation of the contexts in which the objects were made. James Young explores Germany's fraught efforts to memorialize the Holocaust, and also asks how late 20th century artists can remember an event they never knew directly but which is shaped through images in films, photographs and museums. In villages and towns across Spain and its former New World colonies, local performers stage mock battles between Spanish Christians and Moors or Aztecs that range from brief sword dances to massive street theatre lasting several days. The festival tradition officially celebrates the triumph of Spanish Catholicism over its enemies, yet this does not explain its persistence for more than five hundred years nor its widespread diffusion. 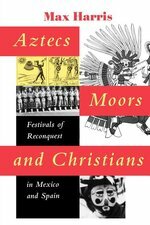 In this insightful book, Max Harris seeks to understand Mexicans' "puzzling and enduring passion" for festivals of moros y cristianos. He begins by tracing the performances' roots in medieval Spain and showing how they came to be superimposed on the mock battles that had been a part of pre-contact Aztec calendar rituals. Then using James Scott's distinction between "public" and "hidden transcripts," he reveals how, in the hands of folk and indigenous performers, these spectacles of conquest became prophecies of the eventual reconquest of Mexico by the defeated Aztec peoples. Even today, as lively descriptions of current festivals make plain, they remain a remarkably sophisticated vehicle for the communal expression of dissent. The major choral works by Johann Sebastian Bach-the Christmas, Easter, and Ascension Oratorios, and the St. Matthew, St. Mark, and St. John Passions-stand as the most frequently-performed and penetratingly discussed of the genre. Renowned Bach scholar Michael Marissen has assembled a compact, well-designed and ideally useful treatment of Bach's oratorios, providing the full German texts with literal English translations and copious annotations. He provides strict literal translations of these texts, with citations from the Luther Bible as it was known in Bach's day, along side extensive footnotes that provide information addressing the interests and concerns of today's Bach community. 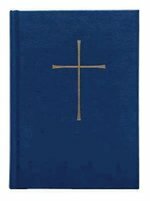 These are the first translations of the librettos from Bach's oratorios to accommodate the many sense-clarifying allusions to the readings of the Luther Bibles in Bach's day, to explore from historical dictionaries the meanings of previously unnoticed archaic usages, and to contrast relevant findings from modern biblical scholarship. Marissen's insights are particularly helpful, his thoroughness is impressive, and the book will be a longstanding, definitive, and essential reference for choral directors, performers, audience members, and Bach scholars alike. Why do some music styles gain mass popularity while others thrive in small niches? 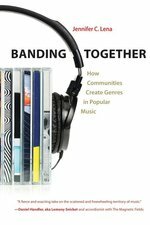 Banding Together explores this question and reveals the attributes that together explain the growth of twentieth-century American popular music. Drawing on a vast array of examples from sixty musical styles--ranging from rap and bluegrass to death metal and South Texas polka, and including several created outside the United States--Jennifer Lena uncovers the shared grammar that allows us to understand the cultural language and evolution of popular music. What are the common economic, organizational, ideological, and aesthetic traits among contemporary genres? Do genres follow patterns in their development? Lena discovers four dominant forms--Avant-garde, Scene-based, Industry-based, and Traditionalist--and two dominant trajectories that describe how American pop music genres develop. Outside the United States there exists a fifth form: the Government-purposed genre, which she examines in the music of China, Serbia, Nigeria, and Chile. Offering a rare analysis of how music communities operate, she looks at the shared obstacles and opportunities creative people face and reveals the ways in which people collaborate around ideas, artworks, individuals, and organizations that support their work. Provides an introduction to the practise and theology of baptism. Challenges liturgical practitioners to pay attention to what feminist biblical studies now offer the worshiping Church. The essays in this book explore varieties of baptismal practice today, address the continuing problem of 're-baptism', offer fresh perspectives on the relation between baptism and Christian ethics, and call the churches to draw the full implications for Christian unity of their 'mutual recognition of baptism'. Baptism, the birthright common to all Christians, is a cornerstone of the ecumenical movement. Continuing the dialogue among liturgists, theologians, church musicians and pastors begun in So We Believe, So We Pray (WCC, 1995), this book focuses on baptism in relation the unity of the church. Exploring patterns of baptismal practice today, it includes striking examples of inculturation from around the world. It also insists on the link between liturgy and life. With contributions from Gordon Lathrop, Anscar Chupungco, OSB and Janet Crawford, this book is an important resource for everyone concerned with baptism, worship, the life of the church and the ecumenical movement today. Over the last two centuries, Beethoven's music has been synonymous with the idea of freedom, in particular a freedom embodied in the heroic figure of Prometheus. This image arises from a relatively small circle of heroic works from the composer's middle period, most notably the Eroica Symphony. However, the freedom associated with the Promethean hero has also come under considerably critique by philosophers, theologians and political theorists; its promise of autonomy easily inverts into various forms of authoritarianism, and the sovereign will it champions is not merely a liberating force but a discriminatory one. Beethoven's freedom, then, appears to be increasingly problematic; yet his music is still employed today to mark political events from the fall of the Berlin Wall to the attacks of 9/11. Even more problematic, perhaps, is the fact that this freedom has shaped the reception of Beethoven music to such an extent that we forget that there is another kind of music in his oeuvre that is not heroic, a music that opens the possibility of a freedom yet to be articulated or defined. By exploring the musical philosophy of Theodor W. Adorno through a wide range of the composer's music, Beethoven and Freedom arrives at a markedly different vision of freedom. Author Daniel KL Chua suggests that a more human and fragile concept of freedom can be found in the music that has less to do with the autonomy of the will and its stoical corollary than with questions of human relation, donation, and a yielding to radical alterity. Chua's work makes a major and controversial statement by challenging the current image of Beethoven, and by suggesting an alterior freedom that can speak ethically to the twenty-first century. Liturgy lures us through our senses, grounds us in a great tradition, and plants us in the midst of a diverse community, present and past. Are you attracted to liturgy but don't know why? Are you considering changing to liturgical tradition? Are you already immersed in liturgical worship but want to grasp its deeper significance? 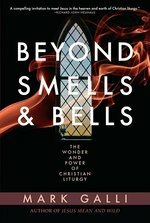 "Beyond Smells and Bells" addresses the lure and relevance of liturgy for your life today. Thousands of Christians become interest in liturgy each year for the first time, as they turn to orthodoxy, tradition, and the lasting rituals of the Christian faith. In a culture that values spontaneity, liturgy grounds us in something enduring. In a culture that assumes truth is a product of the mind, liturgy helps us experience truth in mind, body, and spirit. In Mark Galli's able telling, liturgy is an intruguing story, full of mystery, that transforms us. "Mark Galli's book almost pursuides me to become high church! 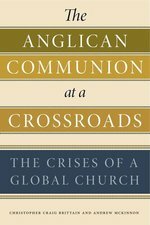 This warm and personal overview commits me to work for a renewal of historic liturgical practice in the so-called low churches. "-Scot McKnight Ph.D., author of "The Jesus Creed"
"In this warm and engaging book, Mark Galli makes a compelling case for the relevance of Christian liturgy in our postmodern, individualistic age. Through lucid examples and moving personal testimony, Gallie explains the countercultural appeal of liturgical worship that spans the denominational spectrum. "-Colleen Carroll Campbell, former White House speechwriter and author of "The New Faithful: Why Young Adults Are Embracing Christian Orthodoxy"
Mark Galli is senior managing editor of "Christianity Today." He is a graduate of Fuller Theological Seminary and the author of "Francis of Assisi and His World," and "Jesus Mean and Wild: The Unexpected Love of an Untamable God." He is married and has been worshiping in the Anglican tradition for nearly 20 years, most recently as a member of Church of the Resurrection in Glen Ellyn, Illinois. 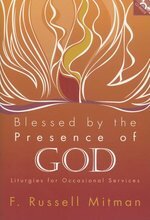 This collection features alternative liturgies rich in multi-sensory expressions for worship experiences traditionally called occasional services: baptism; marriage; anointing and healing; dying and burial rites; penitence and forgiveness; morning and evening prayer; and more. 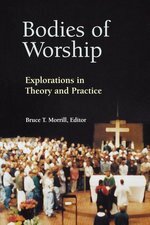 Bodies of Worship explores how the ecclesial, ritual, individual, and cultural bodies engaged in the Church's worship contribute to the theory and practice of both liturgical theology and pastoral ministry. The authors bring solid historical and theoretical scholarship to bear on the practice and experience of the liturgy and spirituality of the Church.